Carlyn Kearney has spent two lonely years not knowing whether to mourn or to hope after she receives word from the Union Army that her husband is missing. The war ends without further word. Now penniless, in debt, and forced from her home, Carlyn seeks refuge at the Shaker village of Harmony Hill, only to discover that they will not allow her to keep her beloved dog, an animal that has been her faithful companion since her husband went off to war. Sheriff Mitchell Brodie has pity on the lovely young woman and agrees to take the dog. Carlyn is just settling into life as a sister in the Shaker village when she receives a devastating letter confirming her worst fears. As she wrestles with whether to commit herself fully to the Shaker life, mysterious deaths begin to occur, and Carlyn comes under suspicion. Can Sheriff Mitchell help her expose the true culprit? The Innocent is a compelling story! I was immediately drawn to Carlyn Kearney and had such compassion for her and all she had endured. Carlyn’s canine companion was a beloved character in the story, as was Sheriff Mitchell Brodie. The intrigue of the plot kept me engrossed as I read and beckoned each time I set the book aside. Ann Gabhart is a gifted storyteller, and I loved the drama and romance of her latest tale! 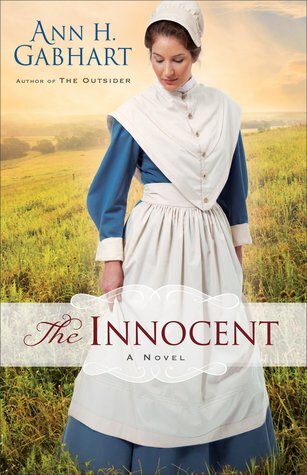 I received a complimentary copy of The Innocent in exchange for an unbiased review. I appreciate the opportunity to read this story and share my thoughts. 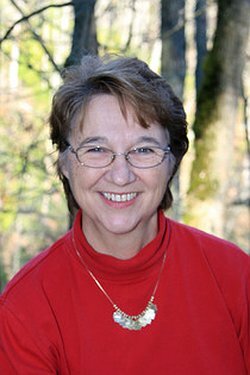 Ann H. Gabhart caught the writing bug at the age of ten and has been writing ever since. She’s published over twenty-five books for both adults and young adults. Scent of Lilacs, her first inspirational novel, was chosen as a Top Ten Christian Fiction Book by Booklist magazine. Her first Shaker book, The Outsider, was a finalist for ECPA Christian Fiction Book of the Year and was a Top Pick by Romantic Times Book Review Magazine. Ann writes about Kentucky history and small town life. Ann lives on a farm in Kentucky not far from where she was born. She and her husband have three children and nine grandchildren. Ann loves hiking on her farm with her grandkids and her dog, Oscar. Learn more about Ann and her books at www.annhgabhart.com. Great review! Thank you, Britney! Thank you for reading and commenting, Melanie!